Our infant & baby care program provides a warm, clean & welcoming environment where your baby can grow from a bundle of joy to a bundle of curiosity. Your baby’s caregiver is a nurturing child developmental professional who is focused on creating experiences and opportunities that invite exploration and support the rapid and important development that is occurring in a child’s first year. Our Toddler program uses hands-on exploration and social interaction in safe, clean and engaging surroundings to help your toddler (18 – 30 months) to learn about his or her expanding World. 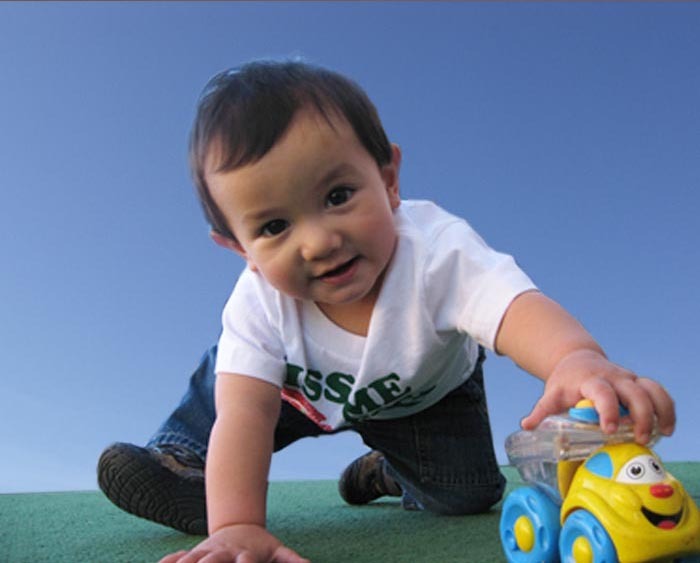 Through the guidance of our teachers, toddlers enjoy learning experiences that promote their blossoming independence and social skills, and foster self-confidence. Beyond day care, our curriculum for toddlers is designed to adapt to each individual child’s age and developmental stage. Experienced teachers promote emotional, physical, social, and intellectual development in a fun, engaging environment.